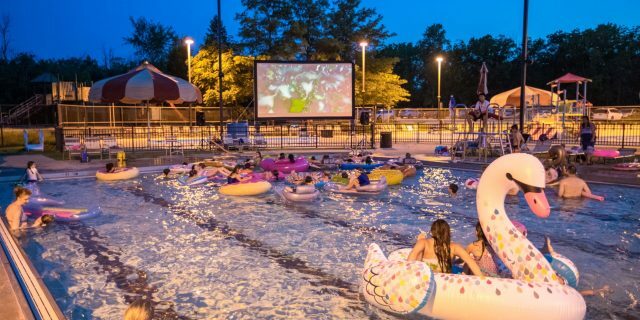 Bring your raft, inner tube or noodle and watch a movie on the big screen from the pool! Swimming begins at 7:30 pm. Movie begins at dusk. Concession stand will be open. Fee is $3 per person.